Welcome to the Seventy First Edition of the Owen Guns Bulletin. Yes thats 71. Firearm Legislation Review Queensland, Police Fight With Lies. SPEAK OUT NOW, OR SUFFER FOR ANOTHER 15 YEARS. Police Fight to Save Administration Jobs, With Lies. In past Centuries tools were used by tyrants to suppress the people, swords, Guns, Bows, and the Lance, but all it takes in the 21st Century is ‘Words’. Well not all words but to be more specific ‘Lies’. Within one week we have had two lies, used to mislead the politician’s and the general public first one on August 27, 2012 by Queensland Police Union President Ian Leavers, stating, “Statistically, since 2000, police are just as likely to be killed by licensed firearm owners,” to the Brisbane Times. Then to the Courier Mail on the 28th he slandered every lawful firearm owner in Queensland again, “Since 2000, half the police gunned down in the line of duty were killed by licensed firearms owners.” Repeated again, “However, Mr Leavers said Queenslanders were just as likely to get shot by a legal firearm user, which was the case for Norm Watt and Perry Irwin – two officers fatally shot since 2000.” PRMEDITATED He had been challenged on his information on the 27th and this later report on the 28th in the Courier Mail was his premeditated reply. While we cannot locate information on a, trial or coroners report to confirm the Licence status of the shooter of Norman J. Watt in the year 2000. 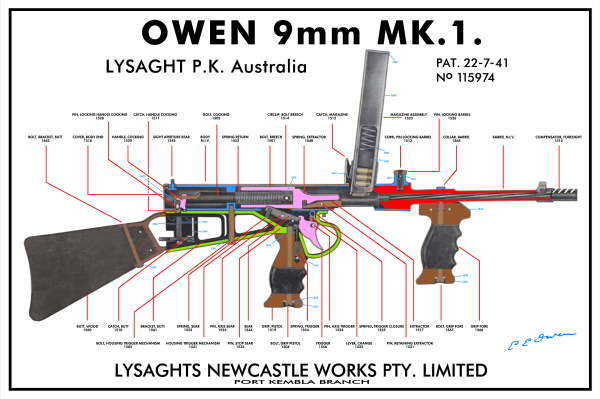 We can state that in the inquest into the deaths of PERRY James IRWIN by DAMIEN LAWRENCE COATES Coroner’s Court FILE NO(s): COR 721/04(2) DELIVERED ON: 07 October 2005,by Mr Michael Barnes, the State Coroner states, Page 15 “Mr Coates was not licensed to use a firearm”. Just in case, Mr Leavers had wanted to use it as an excuse, that he had quoted the wrong Policeman’s name, I found another corners inquest into the deaths of Constable Brett Andrew IRWIN by Craig Anthony SEMYRAHA Coroner’s Court FILE NO(s): COR 3311/07(4) and COR 3338/07(0) DELIVERED ON: 06 October 2009 by Mr Michael Barnes, It is quite clear from that report that SEMYRAHA did not have a Firearms Licence either. So ‘Watt’ in the year 200 could be a “Maybe” and two definitely have not had licences, Constable Damian Leeding was shot June 1, 2011, at the Gold Coast but no one has been found guilty yet of that deed so no one can ascertain if they had a licence or not. Lying Is An Unfortunate Habit. Then to finish the week off we have our new incoming Police Commissioner Ian Stewart who joins a rogues gallery of Commissioners Terry Lewis, Jim O Sullivan, Bob Atkinson, to lead an organisation that has been under investigation by a specific Crime Commission for 25 years. He made these comments to the ABC News ‘Gold Coast’ 4th September. This again is nonsense, another lie with a political objective, self importance, more jobs for the boys at the expense of the licensed shooters. He gives the impression that every second house is broken into and a firearm is stolen. This information was only released in June 2012 so it would be difficult to imagine that we were suffering from a massive increase of stolen firearms, since then. Do They Care, If Homes Are Broken Into? 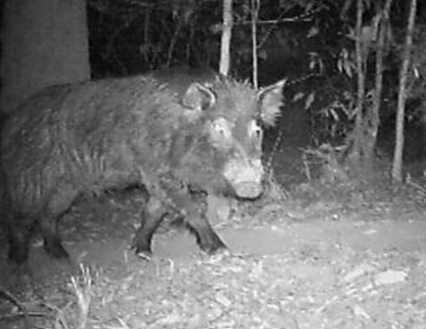 What would be more difficult to imagine, is if the Queensland Police knew or cared that a firearm was stolen, as when a break in reported the response from the police is very hum drum, lucky if they bother to come out and look, well its even more paper work. How many convictions occur from the 43,024 offences reported 96 ??? Even at that figure it does not explain if it is 96 different people, or 8 people with 10 offences each and 1 person with 6 offences, again we are left guessing. Would We Be Better Off Without Police ? With figures like this we have to wonder, would we be better off without Police at all. It would be cheaper. We could get more insurance and leave it to the insurance companies to catch people and take them to court. We have to look after our own security anyway. 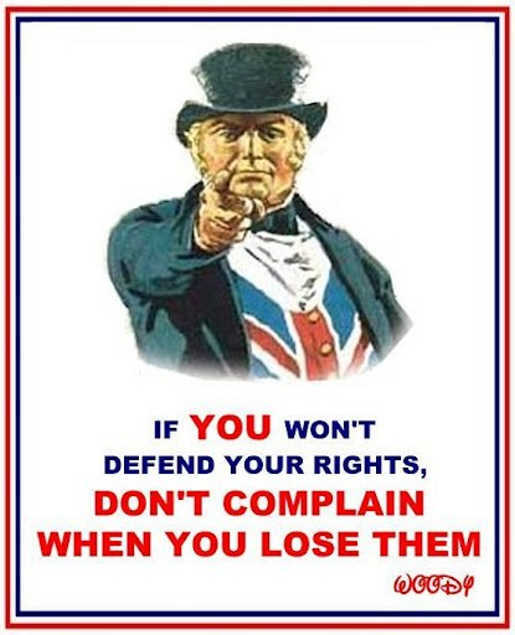 Now politicians are even legislating to order citizens to fit bars and steel doors and alarms which are further admissions that they cannot organise a Police Force to protect our lives and property. This same procedure can be completed by a dealer for a brokerage to transact a firearm between two licensed shooters. 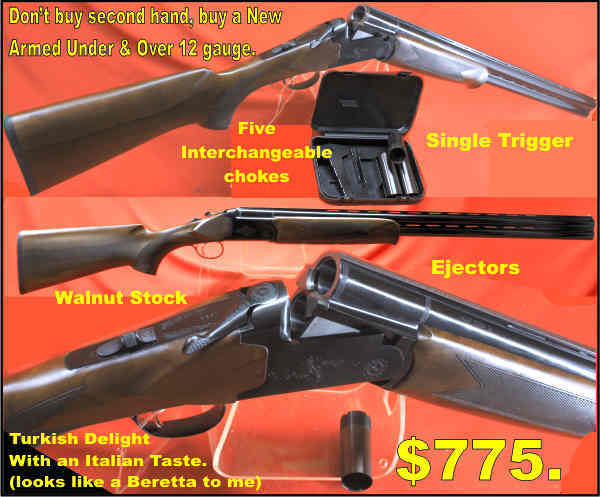 The Dealer is made responsible under the current act for carrying out these duties with repairs, and records the transaction with a form 10 to QPS and when selling to other licensed Firearm Dealers within Australia and within 14 days those form 10s are sent to QPS and the dealer register registers the transaction. So in effect all the legislation for carrying out this alteration is already in place it is just a legislative change of procedure. That retains registration and free’s up the police staff to carry out much more important procedures. Ron Owen. 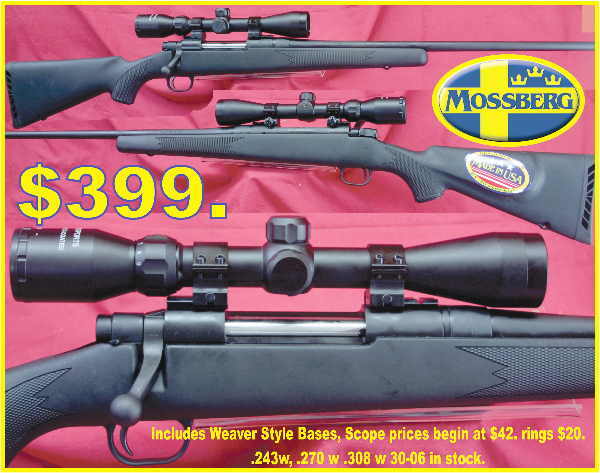 MOSSBERG Maverick, Bolt Action Rifles. Brand New $399. 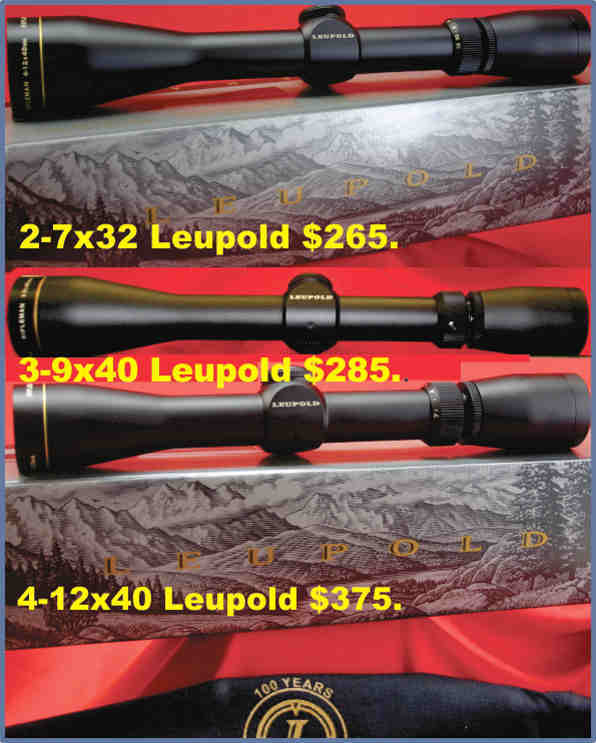 Our Best Selling Book is Australian written and produced with the Australian Shooting conditions in mind. If you like the small articles included with this Bulletin, Accurate Firearm Design and Understanding Cartridge Reloading and want to read an encyclopedia on shooting by the same author buy The Range Officer Handbook. The Range Officer Handbook The Range Officers Handbook pay by Pay Pal see Bulletin Special Announcement Page CLICK HERE As already purchased by members of all Shooting Organisations. Some have even bought two copies one for home and one to take to the club. See Book Reviews by Nick Harvey in Sporting Shooters and Guns Australia in our new Gun Book Catagory. This is not limited to applications now in the pipe line which have not been received, but to all delays since the middle of 2010. The Minister will then see that this is not a minor aberration over the last couple of months, but an endemic problem with the system. So here is a chance to make a difference. Tell your friends, tell everyone who has firearms, put it on facebook, and please please put your gripes on paper or email. Use the suggested format above if you wish, or any other format you choose. Get it off to the Minister immediately. They have to know what we are experiencing. Your input is essential Ron. These permits give you the Good Reasons to apply for your Shooting Licence and Permits to Acquire for Recreational Hunting. Hear and Protect Hear normally up to 85 db Electronically reduces & protects hearing Protects hearing above 85 db Able to hear normal conversations and sounds to 85 decibels. Over 200 hours of battery life. Auto-adjust headband. Solid state circuit. Rotary on-off volume knob. HOW THE ELECTRONIC EAR MUFFS WORK These electronic ear muffs are a high standard ear muff in design, they are made to feel light and comfortable for all day use. 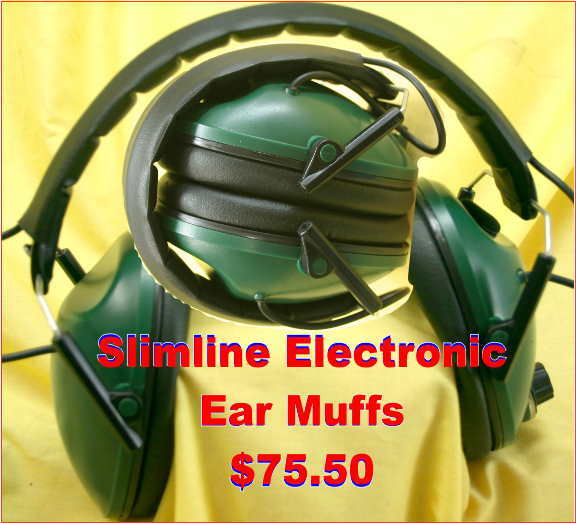 They can be used as standard ear muff when the electronic component is not turned on and will passively reduce noise like any normal ear muff. They have a standard noise reduction rating of 29 decibel and are a Class 5. Once turned on the microphone, located at the top of the ear muff, will pick up and amplify ambient noise. If some one standing next to you talks, their voice will be amplified through the speakers in both ear muffs. Should there be a loud noise, such as a firearm, the electronic ear muffs will automatically cut out and block the loud noise. The electronic ear muffs are designed to attenuate noise about 85 decibels, meaning that they will block out instantly, once the noise reaches a certain level. The electronic ear muffs allow you to control the volume level of ambient noise around you. On the shooting range with constant loud reports, the electronic ear muffs will block this noise. For range instructions or to communicate with another person, you can instantly hear them speak. At the range or anywhere ear protection is constantly required, but you also need to hear instructions from others or you wish to be more aware of the ambient sound around you, these electronic ear muffs are what you need. $75.50 plus post.